A traditional 1960s children’s roundabout can be found in the park gardens. Featuring beautiful hand-painted horses and two carriages, this is a beautiful reminder of Morecambe’s resort history and a fantastic opportunity to grab a photograph for the family album or Facebook! Open 10 AM until 5 PM April to September, weather permitting, the roundabout is only £1.00 per ride. 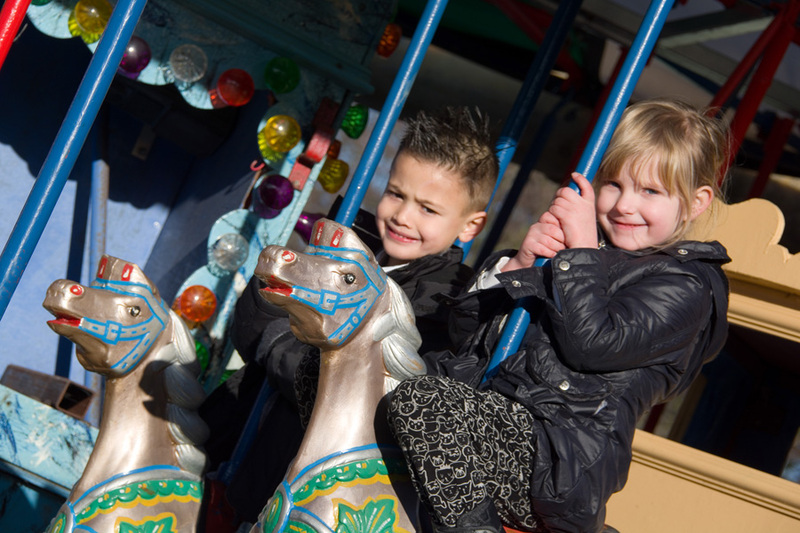 Children must be able to sit on the horses all by themselves in order to ride the carousel, and the roundabout is suitable for children 3 to 10 years old.